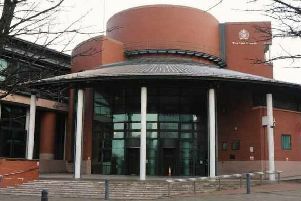 Gail Bradshaw, 64 - a magistrate at Wigan and Leigh Magistrates’ Court for the past 30 years who has deliberated on RSPCA cases - and Nicola Bradshaw 29, both of Minehead Avenue, appeared before Preston Magistrates' Court for a two-day trial which concluded on April 9. The pair were found guilty of causing unnecessary suffering to two West Highland white terriers called 'Poppy' and Holly by failing to provide proper and necessary care to their severe and chronic skin conditions. Gail Bradshaw said she didnt think the vet treatment was working so decided to self treat the condition after seeking advice from the internet and friends. When the advice was followed improvements were seen but the lack of consistency in following the treatment properly would cause Poppy to deteriorate again. A new treatment plan was put in place in March 2015 by the vet with the advice to return in 7-10 days but Poppy was never taken back. Inspector McDonald said: “Gail Bradshaw said she didn’t think the vet treatment was working so decided to self treat the condition after seeking advice from the internet and friends. However over the following two years Poppy's condition deteriorated to the state she was found in when I attended. The case was adjourned until 2pm on Tuesday May 8 at Preston Magistrates’ Court for a pre-sentencing report.